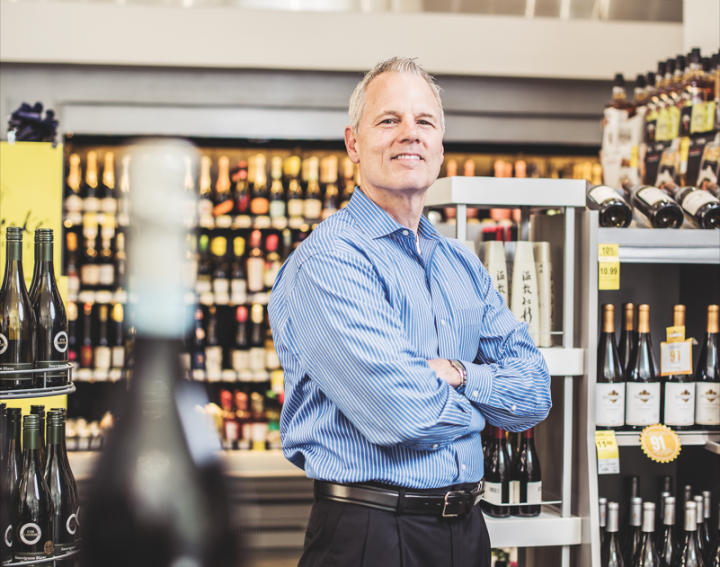 Tim Turner has turned Walgreens into a wine and spirits powerhouse. Walgreens, the nation’s second-largest drug store chain, had $1 billion in alcohol sales spread across 8,200 stores in 2016. It isn’t easy to reach the $1 billion mark with a mere 235 SKUs—150 for wine, 50 for spirits and 35 for beer. The buying must be targeted, with not a single underperforming brand. Tim Turner, who’s served as the company’s category manager for wine and spirits for the past seven years, has helped achieve that goal. Throughout his three-decade career, Turner has worked in a variety of roles at companies like W.J. Deutsch & Sons, E. & J. Gallo Winery and Constellation Brands. “It’s pretty rare for somebody to have worked in so many different facets of the business,” notes Turner, who’s based at Walgreens’ administrative center in the Chicago suburb of Northbrook, Illinois. “It’s been good preparation for my work at Walgreens.” For his commitment to leading a beverage alcohol powerhouse, Turner has been named a 2017 Market Watch Leader. If Turner’s 31-year career has taken many turns, so has the Walgreens beverage business. The company, founded in 1901 in Chicago by Charles Rudolph Walgreen, was perhaps the nation’s most formidable beverage alcohol retailer in the 1980s and early 1990s, when its 900 stores produced an amazing $3.5 billion in annual sales. 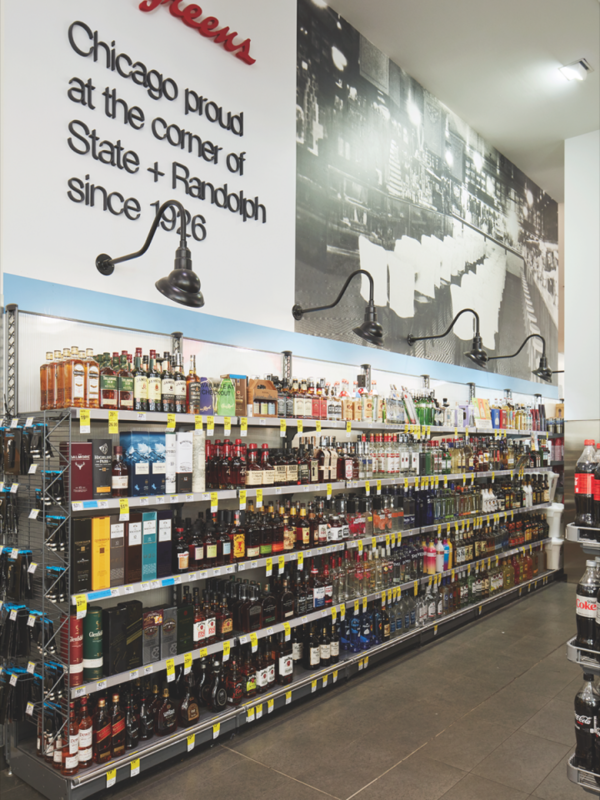 While Walmart, Costco and Total Wine were still finding their way, Walgreens was the No.-2 retailer of alcohol in the nation, behind only the Pennsylvania Liquor Control Board. Back then, each Walgreens store had a generous seven doors of cold beer, plus 1,500 square feet devoted to wine and spirits. In markets like Chicago, the Walgreens circular was published each Thursday in local newspapers and showed prices that were nearly impossible to beat. Nobody seemed to have the buying power to match Walgreens. Today, updated alcohol laws and state-of-the-art technology have changed all that. 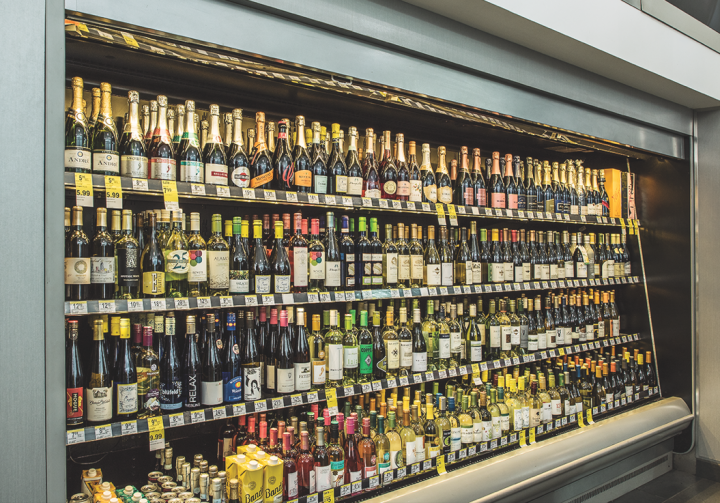 Turner now manages his department with a team of just six people, three of them merchandising assistants who are constantly culling updated costs from the 600 distributors in the 40 states where Walgreens sells wine and the 20 states where it sells spirits. Fellow Walgreens employee Josh Nees manages milk and beer, with the latter category generating sales of $400 million in 2016. All report to Tom Burkemper, the divisional merchandise manager of all beverages. Walgreens’ beverage sales are heavily data-reliant. Statistics come from a variety of digital sources, including purchases recorded electronically by the company’s 160 million cardholders to Nielsen point-of-purchase records and input from powerful vendors like E. & J. Gallo and Anheuser-Busch InBev. “We’re very centralized here,” Turner says. Turner maintains gross margins that range from 20 percent to 25 percent on both his wine and spirits sales overall. To get those numbers, he aims “to price everyday items within 10 percent of the market leaders. If it’s above 10 percent, shoppers will walk.” If a brand is consistently offered by rivals below that 10-percent gap, “that brand won’t be in our set six months later,” Turner explains. Turner is under pressure to yield bigger sales and profits each year from his department even as the average store size has remained at about 15,000 square feet, with only 10,000 of that being non-pharmacy space. Walgreens’ $1 billion in beverage alcohol sales last year represented an increase of nearly 5 percent over 2015, Market Watch estimates. With no new space to draw on, Turner has led the company upmarket in a premiumization bid. 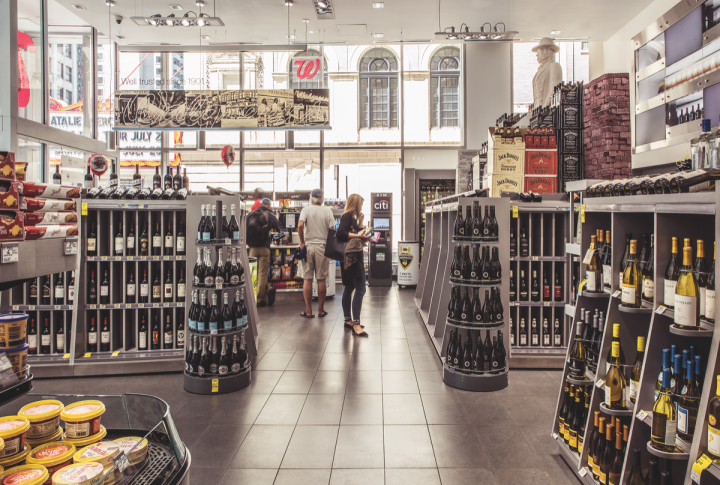 Wine and spirits generate $300 million each, while beer brings in $400 million. Not all Walgreens stores are cookie-cutter. When the company exited alcohol in most states in the 1990s, it held on to 200 licenses spread throughout Arizona, Florida and New Mexico. Today, these “legacy stores” are still selling from the old format of 1,500 square feet, with far bigger assortments than the typical Walgreens. 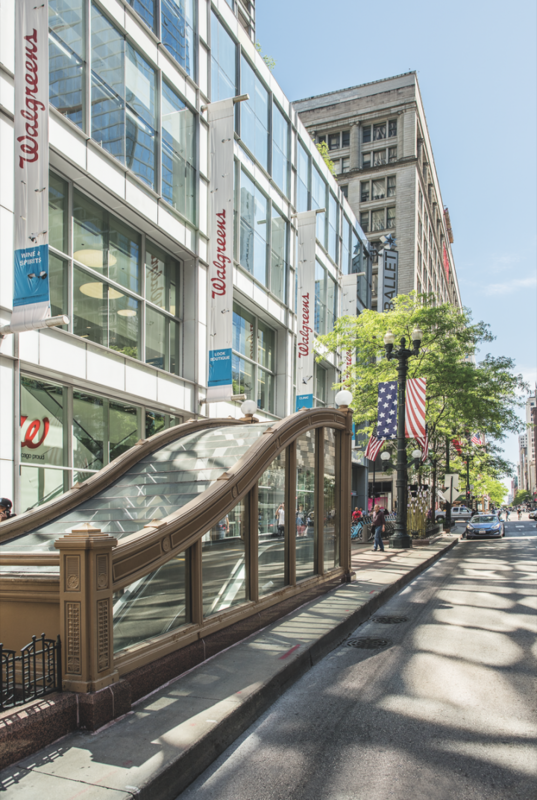 In an experiment that started in 2012, not long after the company acquired New York–based drugstore chain Duane Reade for $1.1 billion, Walgreens built some 20 so-called flagship stores in high-end urban settings in Downtown Chicago, New York City and a few other markets that offer impressively upscale assortments. The 40,000-square-foot Walgreens on Chicago’s State Street, for example, stocks Left Hand Brewing Co.’s Milk Stout Nitro ($10.99 a six-pack) and Allagash Tripel ale ($9.99 a 750-ml.). There are also bottles of The Macallan 18-year-old single malt Scotch ($200), the 2013 Far Niente Cabernet Sauvignon ($150) and the 2010 Penfolds Grange ($750). The 2007 Cristal Champagne is priced at $290 and the 40-year-old Taylor Fladgate Port is $220, while Louis XIII de Rémy Martin Cognac goes for $3,200. By contrast, the rest of the chain gets the bulk of its volume from brands like Yellow Tail Chardonnay ($4.99 a 750-ml. ), Franzia Sunset Blush ($12.99 a 5-liter box), Liberty Creek Pink Moscato ($5.99 a 1.5-liter) and jug wines. The cheapest wine offered is Looking Glass at $3.99 a 750-ml. The Walgreens store count has remained steady at around 8,200 for more than a year, and expansion is currently on hold. Over the summer the company’s attempted takeover of Pennsylvania-based rival Rite Aid, in a $6.8 billion deal that would have given the Chicago company a deeper presence on both the East and West coasts, was scuttled in the face of Federal Trade Commission objections. But Walgreens isn’t walking away empty-handed: It will instead purchase about 2,200 of the 4,600 Rite Aid locations outright and convert them. 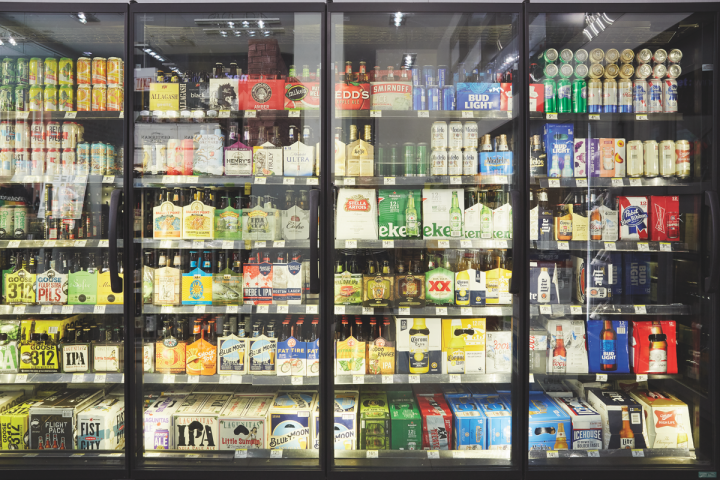 How much that buyout will add to Walgreen’s alcohol volume isn’t exactly clear, but Rite Aid had roughly $1 billion in beverage alcohol revenues last year and is giving up roughly half its stores. At a minimum, Turner’s responsibilities are likely to increase by one-third or more by the end of this year. Walgreens’ biggest merger still remains its partnership with Alliance Boots in 2014, forming a global company with annual revenues of $117 billion and 400,000 employees (275,000 in the United States). Turner, meanwhile, has received offers from upper management to widen his scope, but has elected to stay within beverage alcohol. “I’ve been working in this industry for 31 years—it’s what I know,” he says. Turner is content to educate and move around assistants that work under him. There are occasional trips for his staff to visit Bourbon distilleries in Kentucky and wineries in Napa. Walgreens may be reliant on cold, hard data, yet Turner values the cultivation of knowledge. “You can’t spend your time buying wine and spirits in a windowless room staring at computer screens all day long,” he explains.